​​Lynne Erikson has been in the travel industry for more than 28 years. She started out booking travel for various drivers, teams and officials in the IMSA, NASCAR and Indy Car racing series. She then added corporate and leisure travel into the mix. Lynne’s primary responsibility with Dolphin Vacations is handling leisure and corporate incentive groups, but she really enjoys working with individual travelers as well. Her travels have taken her to Mexico, many islands in the Caribbean, Europe, Canada and every state in the United States except Maine including Hawaii and Alaska. Lynne’s motto is to create lasting memories and amazing experiences. ​Tracy has been in the business for 27 years. She is a Master Cruise Specialist and specializes in honeymoons and destination weddings, AMResorts, Costa Rica, Sandals, Bahamas, Aruba,Mexico, Jamaica, Dominican Republic and Grand Cayman. She has traveled to Mexico, Caribbean, Hawaii, London, Paris, Brussels, Amsterdam, Dubai, an African Safari and been on several cruises. Her favorite place by far is the Riviera Maya in Mexico. ​Jeannie Wolbert is a professional travel agent with over 17 years of travel experience. Jeannie is an avid traveler herself and is a Specialist on Europe and Alaska travel. One of Jeannie's passions is planning the perfect Wedding or Anniversary celebration for her clients. Another favorite is helping to plan the vacation of your dreams. Amy graduated from American Travel School in Grand Rapids, Michigan in 1988. She began her career in 1988 at RCI Travel, where she did both domestic and international travel. In 1993 she took a new position as manager at Uniglobe Great Lakes Travel who was later bought out and then went to work for the new owners where she did leisure travel from 2006 until her move to corporate agent at Professional Travel in 2015. Recently Amy has joined the Zeeland office team to specialize in leisure and corporate travel. 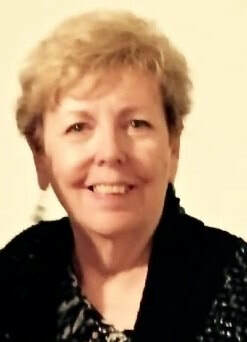 ​Marcy has been working in the West Michigan area travel industry since 1991. She has extensive knowledge and experience selling both domestic and international travel. Her personal travels include Australia, Ireland, London, Paris, Mexico, Bahamas, Hawaii and several cruises, within the Caribbean, Alaska and Scandinavia. She enjoys helping travelers plan seamless, stress-free trips. 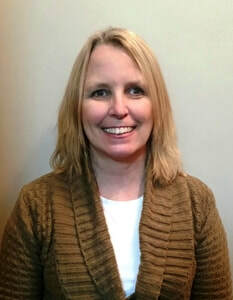 ​​Sarah was born and raised in West Michigan and has 30+ years in the travel industry. She is a certified travel consultant and also has many specialist certificates. Sarah lives, breathes and dreams travel, whether for herself or for a client. She prides herself on customer service. Prompt, courteous and professional care from planning to follow through.